PITTSTON, PA — February 21, 2019 — The Lucy Hobbs Project® will host a Meet-up, an evening of cocktails and networking, tonight, February 21 at the Riff Music Lounge, 2239 South Michigan Avenue, 3rd Floor, Chicago, IL 60616. All are welcome. Tonight’s free event will spotlight details of the Project’s 7th annual celebration, which will convene at iconic downtown Chicago hotel, The Blackstone, 636 South Michigan Avenue, October 3 – 5, 2019. Those attending tonight’s Meet-up can expect free transportation from the Chicago Dental Society’s Midwinter meeting at McCormick Place West Building to Riff Music Lounge, 3rd Floor, 2239 South Michigan Ave., Chicago, Illinois, 60616, along with cocktails and heavy hors d’oeuvres from 5 to 8 p.m. Register today: Click to register. “I have attended two Lucy Hobbs Project annual celebrations, and each time the events broadened my horizons with well-planned team building, practice management and leadership talks. It never ceases to amaze me how women continue to play such diverse and significant roles toward the progress of our profession. LHP made me feel so proud to be one of them,” said Kadambari ‘Kady’ Rawal, BDS, CAGS, FASGD, who earned the Lucy Hobbs Project Woman to Watch Award in 2016. To learn more about the 7th Annual Celebration of Women in Dentistry, contact Event Coordinator Ali Riviello at 570-602-7068 or ariviello@benco.com. 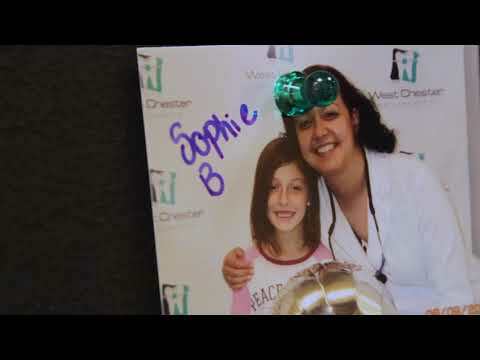 Benco Dental, headquartered in Northeastern Pennsylvania, is the largest family-owned dental distributor in the United States, offering a full array of supplies, equipment and services to dentists across the nation. Founded in 1930 by Benjamin Cohen, the company has remained family-owned and focused on its unique mission to “deliver success, smile after smile.” Benco, which has been named one of Fortune Best Workplaces in Health Care and Biopharma for the past three years, one of the NAFE Top Companies for Executive Women for the second consecutive year, and Pennsylvania’s Best Places to Work® for 12 of the past 14 years, is proud to feature a highly skilled team of more than 400 professionally trained sales representatives and over 300 factory-trained service technicians. For more information, visit benco.com or call 1.800.GO.BENCO.